Another Renaissance deck for you to drool over! The majority of cards in this deck have been lost and the surviving cards – 16 Major Arcana cards and a Page of Swords – can be found in the Bibliotheque Nationale in Paris. There they are attributed to Jacquemin Gringonneur as ‘The Charles VI Tarot’, which would make them an exceptionally early deck indeed (late 1300s). 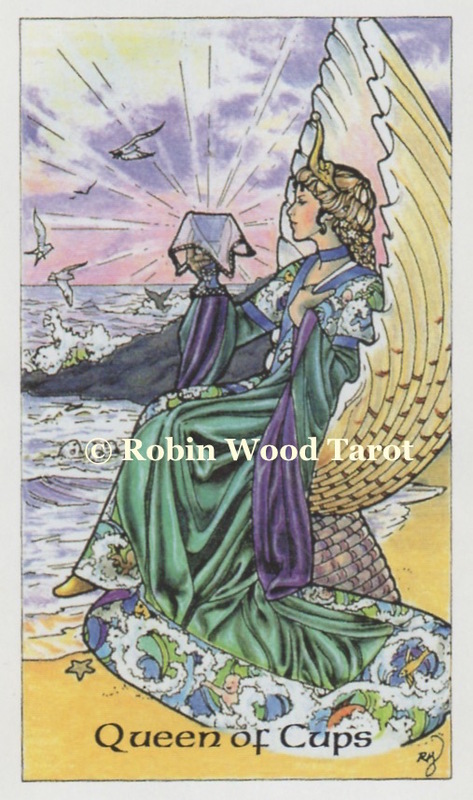 However, as with so much in Tarot, the origins of the cards are less clear cut! Tarot Historian, Giordano Berti, who was commissioned to design a complete 78-card deck by Lo Scarabeo, attests that they are more likely to be from the mid to late 15th century and from either Venice (Tarot Encyclopedia Vol 1) or the nearby city of Ferrara (deck’s LWB also suggests 1470). Wherever they were created, this must have been a magnificent set of cards when it was originally painted. The cards were hand-painted in tempera and decorated with a delicate gold-leaf filigree – the filigree being a feature carried over in the reproduction of the deck. 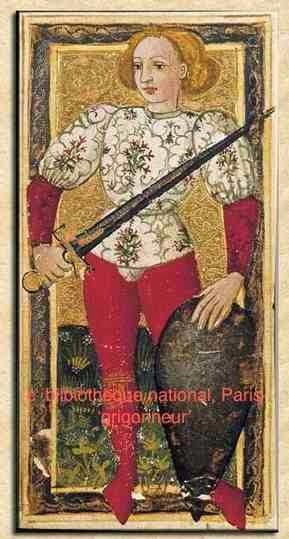 Of the originally commissioned cards, only 16 Majors remained plus a tenacious Page of Swords. When Giordano Berti was commissioned to design a complete 78-card deck by Lo Scarabeo, he decided to draw on existing Trionfi cards from Ferrara from the late 15th and early 16th century, to ensure that the style matched contemporary artwork from the deck’s region of origin. The courts warranted some inspiration and the existing blondie-bobbed Page of Swords was abandoned and a whole new set of courts was created, based on the magnificent frescos from Hall of The Months at the Palazzo Schifanoia, built for the Duke d’Este at Ferrara. The frescoes were created between 1469 and 1471 – perfectly in synch with the original card paintings. The artist behind the orginal frescoes was Pellegrino Prisciani and Jo Dworkin is the contemporary artist behind the finished Lo Scarabeo Golden Tarot of the Renaissance deck. 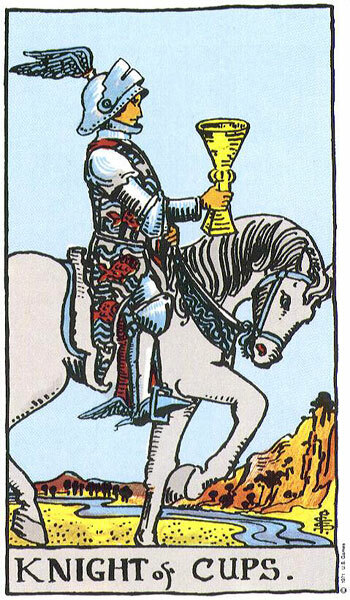 The deck is a Justice VIII/Strength XI, fully-illustrated pip deck, but be warned, the images don’t always readily associate with the meaning of the card. Before we delve in, can I just point out that the ‘black’ background in the cards below IS actually gold foil. My scanner can’t cope with gold foil! All the Pages from this deck carry some sort of sword or knife, except than the Page of Cups who prefers to go in for a full-on Barry White Walrus of Lurv experience. Here in the suit of Swords, our Page blows on a long horn (check out that ever so correct raised little pinkie!) and holds his sword aloft, wind catching at his tunic. The Knight appears on a white horse (how Rider Waite!) along with some knightly cohorts (which strengthens this idea of ‘alliance’ as an interpretation for the Knight). The poor Queen of Swords looks as though she needs a fortnight’s stay at a luxury spa somewhere and I allowed my self a wry snort when I read that she also stands for ‘divorced woman with emotional problems’. That’s pretty much all of us then, right? Or is it just me? The King is very youthful (perhaps her son, seeing as how she is a widow?) and tugs his cloak somewhat suspiciously over his groin…. hmmmm let’s not go there. The Wands are a busy family. The Page is out in the garden, just about to chop down a branch to whittle into a Wand. The Adventurous Knight has a very excited horse (which we luff in a Knight of Wands, do we not?). The King is a very youthful looking chap who holds his wand, entwined with a snake (thereby turning the Wand somewhat bafflingly into a Rod of Asclepius) and what can only be described as a ukelele. I’m not fond of a ukelele. *hideous memories of George Formby records* However, clearly the Queen of Wands is – look at those little twins at her feet. I don’t know where she finds the time to read that book! Aside from the Page grappling with a less-than-enthusiastic-looking lady-friend, the first thing that I notice about the Cups family is that the King is a pretty old looking dude to have such a lovely young wife. And what’s that? The Queen is holding her cup aloft in the company of a young knight? Well, it could almost be a scene from a Jackie Collins novel: ‘Ye Olde Lucky Santiago’. Shall we pop round to the Pentacles’ place and see whether they’ll invite us in for tea? Gosh, I’m not sure that I want to eat anything in there after looking at the Page energetically hauling a bone from a Knightly skeleton! As a ‘Lover of Mysteries’ perhaps he’s working his inner Columbo here and working out Whodunnit. Not so keen on the alternative titles for the Page of Pentacles – spy and thief. Page of Swords perhaps, but not our earnest little Pentacle! I love the pose that the Queen strikes here, with her robe caught upon a breeze or carried by two invisible putti! I can see how she could be an heiress, that could almost be Tamara Ecclestone sitting there. Minus the skyscraper heels. Again we have a very youthful King and one whose weapon of choice seems to be a long bow. 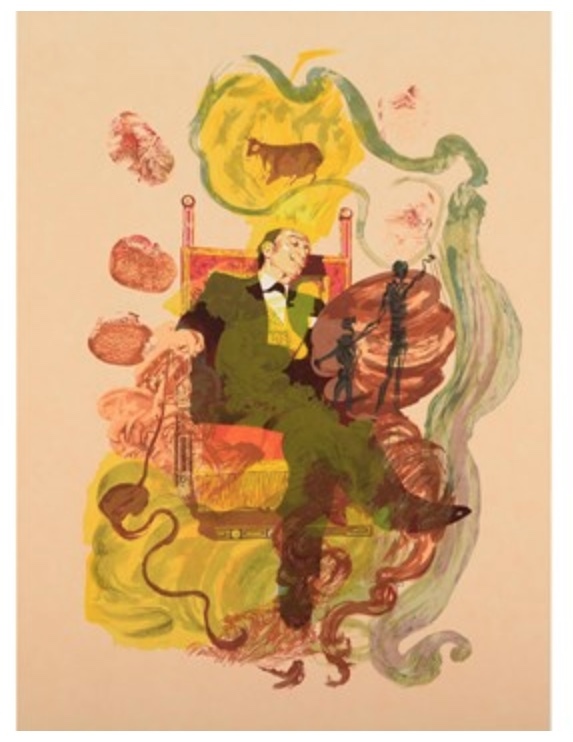 I usually see the King of Pentacles as a Gordon Gekko sort of a guy – prepared to do what it takes to get what material goodies he needs, even if a little on the shady side. But the alternative interpretation for the King feels slightly schizo as a ‘bold but honest dealer’. What do you think of these Courts? Not one of them hails from the surviving cards, but they do dove-tail nicely into the Major Arcana cards that still exist.